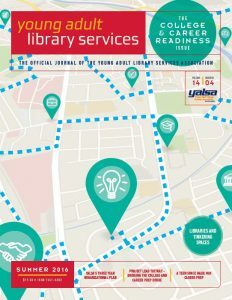 Have you considered writing for YALSAblog or the Young Adult Library Services (YALS) journal but are unsure what topic to write about? 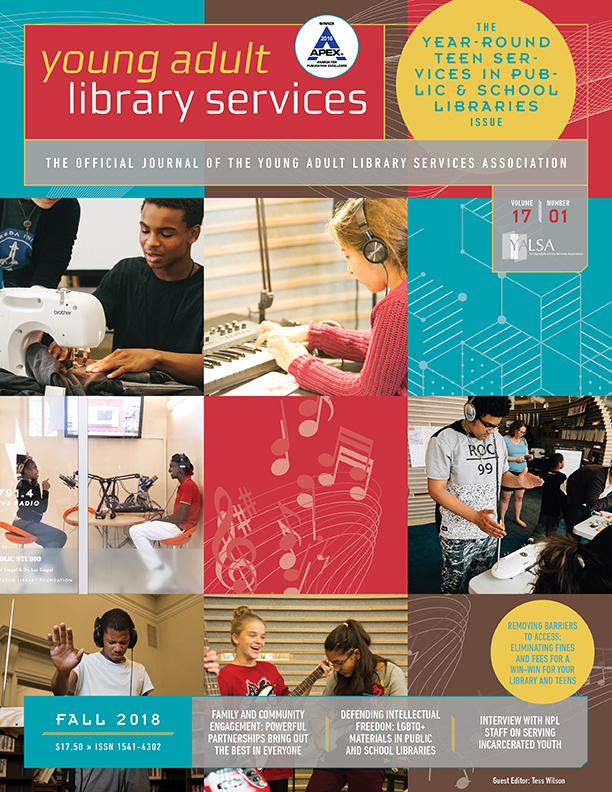 The YALSA Publications Advisory Board conducted a survey of blog posts and YALS articles from the past few years. Our results show that some topics get much more coverage than others, creating a need for more articles on certain topics and services. Here is a brief summary of our findings and how you can help fill these holes by submitting to the blog or YALS. Please note that the purpose of the survey was to identify articles and posts that could be compiled into topic-based publications, so we didn’t include articles that were out of date, that were dependent on a theme such as Teen Tech Week, or were otherwise unsuited for a compilation. All results were finalized November 2015 for the YALS survey and March 2016 for the blog survey. By Shannon Peterson May 12, 2014 May 12, 2014 Governance, News, YALSA Info. 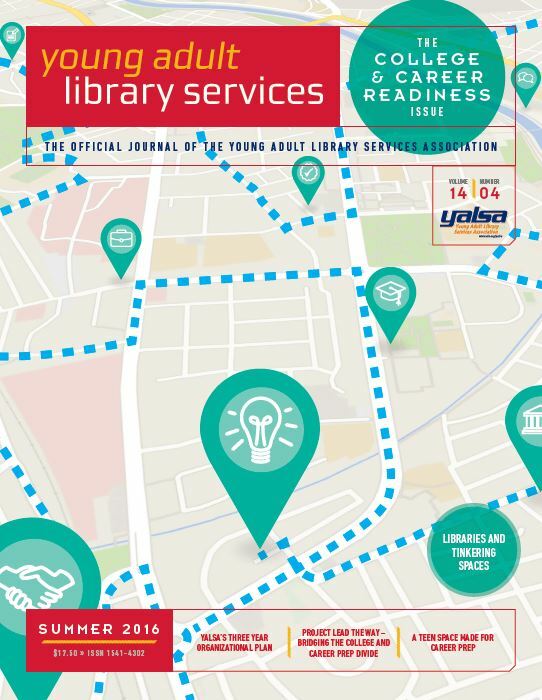 The Young Adult Library Services Association (YALSA) is a national organization of librarians, library workers, and advocates whose mission is to expand and strengthen library services for teens, aged 12-18. 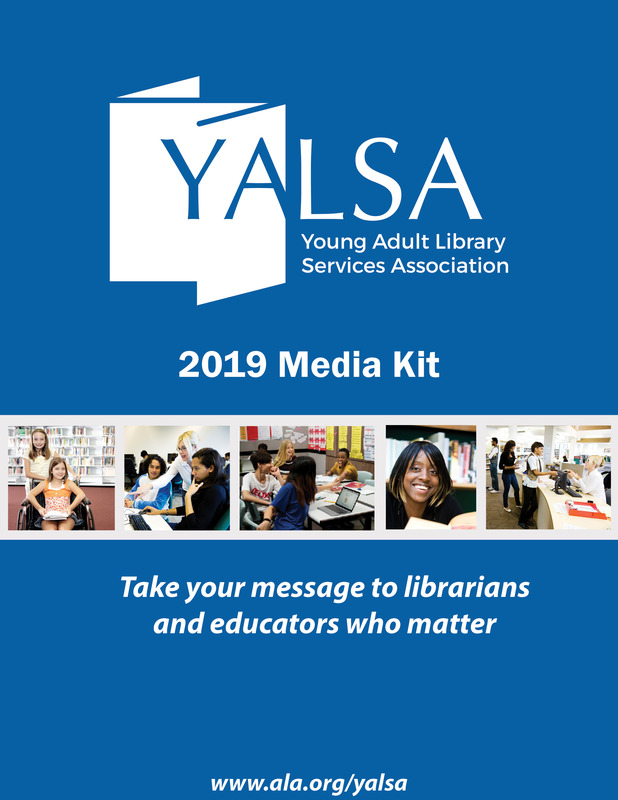 Through its member-driven advocacy, research, and professional development initiatives YALSA builds the capacity of libraries and librarians to engage, serve, and empower teens. Helped to plan a monthly chat with the Board of Directors on YALSA’s fiscal status and FY15 priorities. Thank you to Fiscal Officer Pam Spencer Holly and Beth Yoke for helpful overviews and updates. Facilitated the bi-annual conference call with the YALSA Executive Committee. Agenda and minutes can be accessed here. Led planning calls with the Past and President-Elect, as well as the Chair of the Strategic Planning Committee. Worked with the Executive Committee, the Executive Director, and the Communications Managers to select an incoming YALSA Blog Manager. Congratulations to Crystle Martin and many thanks to all of the amazing applicants. Held virtual discussion and voted on an updated petition candidates process. Interested in submitting your name to the 2015 awards or governance slate? You can also submit a nominating form. Participated in an interview on the current state of GLBTQ Literature for Teens with a graduate student in journalism from Northwestern. The deadline for Dollar General Literacy Foundation grants to support Teen Read Week activities is June 1st. YALSA will offer ten $1,000 grants which recognize outstanding TRW activities. YALSA is offering two stipends for members to attend the Young Adult Literature Symposium in Austin. Applications are due June 15th. Still gearing up for summer? 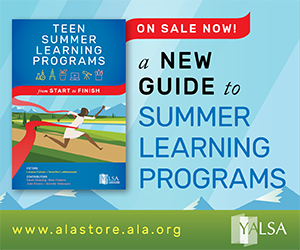 Join YALSA’s Summer Reading and Learning Ning to check out free webinars, resources, recommending lists and more. Looking for a little professional development on your lunch break? 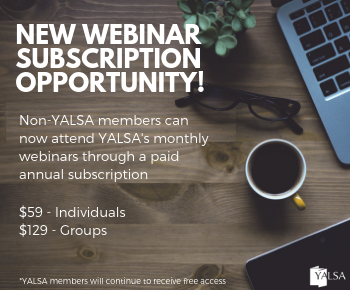 YALSA has over 40 on-demand webinars that are free to members. Share your awesomeness with your colleagues! 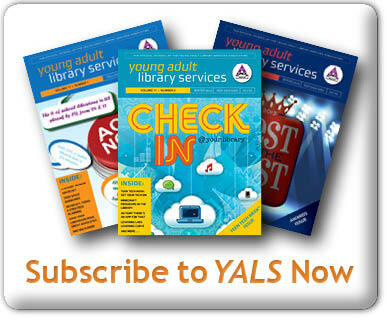 Fill out the member spotlight to be featured in an upcoming YALSA e-news bulletin. Congratulations to the newly elected awards and governance leaders and many thanks to all of the candidates for their willingness to run. Three cheers to everyone who took action on behalf of teens and libraries during National Library Legislative Day, our voices are stronger together! High fives to the hard working Teens Top Ten reading groups and their coordinators for working hard to select this year’s stellar nomination list. In March membership was at 5,134, which off -.5% over this time last year. Donations for March totaled $70.